With the end of the year fast approaching I’ve started to turn my attention to a bookish survey looking back on 2014. Before that, however, I would like to offer up 5 of the books that I enjoyed reading over recent months. 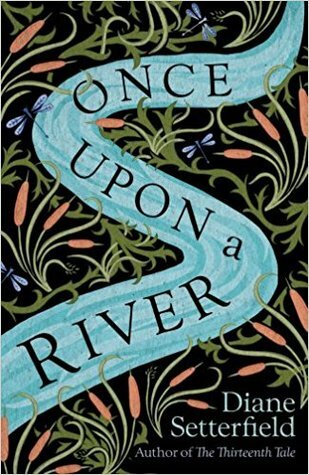 It was only when I started thinking about this list that I realised a great deal of the books I’ll mention are ones I’ve yet to review on my blog, so this serves as a little preview of reviews to come in the New Year. The final two on the first part of my list are books I’ve already reviewed and you can click the links to see more about each book. 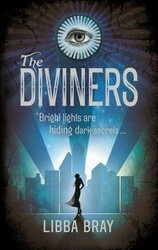 The Diviners by Libba Bray – 1920s New York, a ghostly serial killer, the creepiest haunted house I’ve read about in a while, and a colourful array of characters who all apparently have superhuman gifts and talents. What more could you want? 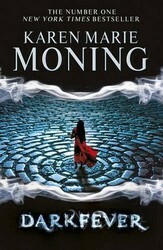 Darkfever by Karen Marie Moning – The first book in the Fever series sees Mac venture to Ireland to try and find answers regarding the murder of her sister. What she actually learns is that there is another world, that of the Fae, and that she has powers which enable her to see the fae in their true form, which isn’t always pretty. She also finds Barrons Books and Baubles, a most enticing-sounding bookstore, and it’s owner, the enigmatic Jericho Barrons, with whom she forms a sometimes tempestuous alliance. 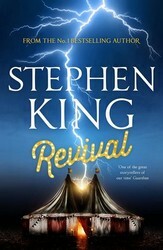 Revival by Stephen King – Character driven tale of Jamie Morton and the one-time reverend Charles Jacobs, who embarks on a dark path after a personal tragedy which will have consequences beyond anything either of the characters ever envisaged. 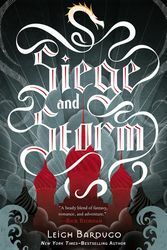 Siege and Storm by Leigh Bardugo – The second book in the Grisha trilogy was fast-paced and introduced some interesting new characters whilst also continuing the story of Alina and the Darkling. I can’t wait to read the final book in the trilogy. The Girl With all the Gifts by M. R. Carey – Post-apocalyptic themed, totally engrossing tale. I don’t want to say too much and give anything important away, but definitely worth a read. A Court of Thorns and Roses by Sarah J. Maas – I am experiencing something of a Fae fascination at the moment (I think it comes from my reading of the Fever series) so I was really excited when I heard about this book. Lair of Dreams by Libba Bray – The follow-up to The Diviners, which was probably one of my favourite reads of 2014, so needless to say I’m pretty excited to get my hands on this one. Station Eleven by Emily St. John Mandel – I’ve avoided reading too much about this book, hoping to avoid spoilers. I hope to make this one of my first reads of 2015. The Lies of Locke Lamora by Scott Lynch – This is a series I’ve wanted to read for a while now. The Name of the Wind by Patrick Rothfuss – Another new-to-me fantasy series that sounds intriguing. So, that’s my round-up of books for now. I hope I have many happy hours reading ahead with the books I’ve mentioned above. Have you read any of the books on my list? Which ones did you enjoy the most? As always do let me know in the comments.